This year, the list of Via Bona Award winners will be extended once again. The Pontis Foundation will hand out prizes in various categories for the 16th time. 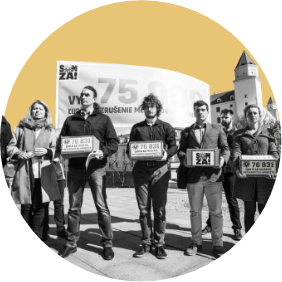 This year, the largest number ever of small and medium-sized enterprises from different regions of Slovakia submitted their nomination. “Our country will flourish, once all of us will take care of it. We are very glad that many companies have realised this and by carrying out their business in an honest way, they are upholding the values of our society. 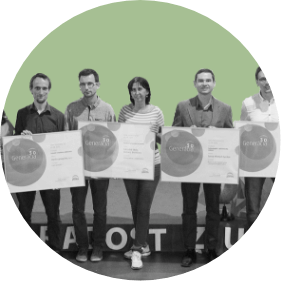 Via our award, we also want to highlight the fact that there are many small entrepreneurs who stand up for their employees and support activities in their surroundings,” said Lenka Surotchak, director of the Pontis Foundation. 18 firms in total are competing for the award in the Responsible Small/Medium-Sized Company category. 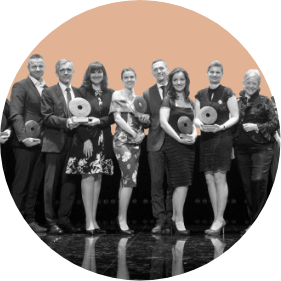 The Pontis Foundation will award prizes to the most inspiring companies in eight categories. On the basis of companies’ nominations and personal presentations in two rounds, an independent jury composed of representatives from business, state government, the non-governmental sector and educational institutions will hand out seven awards: Responsible Large Company, Responsible Small/Medium-Sized Company, Green Company, Great Employer, Fair Player on the Market, Supporter of Volunteering and Good Community Partner. The 8th company awarded will be chosen via public voting on the website www.sme.sk. The list of companies advancing to the next round will be made known on February 8. 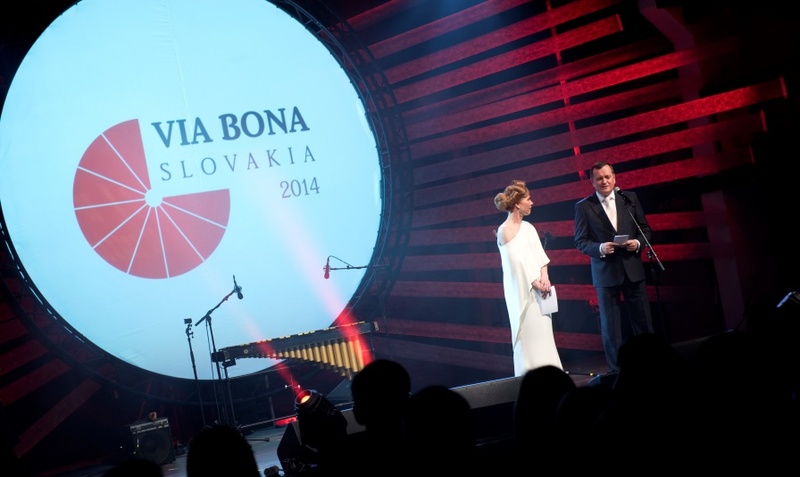 The winners will then be announced at a gala ceremony in the Refinery Gallery in Bratislava on Thursday, March 17. Which companies are competing to get into the second round? • Agrokarpaty for their innovative and ecological approach to the cultivation of medicinal plants. • BUSINESS LEASE SLOVAKIA for taking care of companies’ car parks and being responsible for the environment and for saving transport costs. • ENVI – PAK for their project “You separate; we take care of it” aiming at better waste separation in Slovakia. • Foxconn Slovakia for the “Green Energy” project within which 100% of the company’s collected energy comes from renewable sources. • GreenCoop association for their project entitled “When Hi-Tech unites with a tomato” which is aimed at the revitalisation of old greenhouses. • HEINEKEN Slovakia for their “Well-being outside the city” project focusing on enhancing the state of green areas in cities together with the locals. • In Harmony for their concept of healthy and ecological perceptive-themed toys. • JRK Waste Management for their “For less waste” project aimed at waste reduction and the support of home composting. • Kaufland for their Green Kaufland project. • Lidl for their construction of an environmentally responsible logistics centre in Sereď. • SLOVNAFT for their “Each drop of oil counts” project. • VSE Holding for their support of electro-mobiles and electro-bikes. • ANER HAUS for their project aimed at getting women back into employment before retirement age. 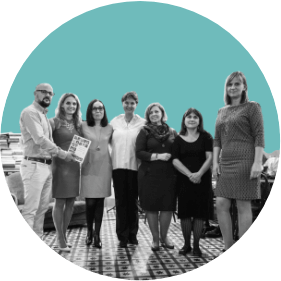 • Hewlett-Packard Slovakia for their professional coaching programme and providing consultation on the working and personal issues of employees and their family members, the so-called Employee Assistance Programme (EAP). • HSH for their project of constructing houses for company employees near the workplace. • IBM ISC for their “Well Being” programme which is based on four fundamental pillars – activities and education in the field of illness prevention and physical health, nourishment, sport and mental health. • Krajšie bývanie (Nicer living) for supporting company’s employees in difficult life situations. • Pixel Federation for creating a non-formal, almost family atmosphere in their company. • Ares for removing architectural barriers and facilitating the daily life of the physically disabled. • COOP Jednota Slovakia for supporting Slovak products and Slovak producers. • IKEA for offering opportunities for a sustainable life at home. • KPMG for their leadership in the Slovak Compliance Circle association which was launched with the primary goal of boosting the business environment in Slovakia from a business ethics perspective. • PayLess Consulting for the optimisation and complex maintenance of telecommunication services where their remuneration is made up of half of the company’s savings. If a client does not save anything, the firm works for free. • Pivovary Topvar (The Topvar Brewery) for their programme focused on the beer culture and the prosperity of the beverage sector in Slovakia. • Prvá stavebná sporiteľňa (The First Building Savings Bank) for their “Extra Security” project – a unique savings programme for children. “Extra Security” means that in case of the death of a parent, the First Building Savings Bank will carry on saving money for that child. • ZlavaDna.sk for their project of providing better and more accessible services in Slovakia. • BeeSafe for their cell-phone personal guard system. • COOP Jednota Slovakia for their project entitled “Let’s not let them roam around” which is aimed at providing children with alternative ways of spending their free time, focusing on physical activities as well as culture and arts. • ESET for the ESET research centre project. • EXIsport for their “Healthier Slovakia” project aimed at the development of mass sport in Slovakia. • Honeywell for their “Step by Step – education in practise” project which is devoted to students of the Slovak Technical University. • Hyundai Motor Czech, the Organisational Unit Slovakia for donating Hyundai ix1 hospital infant carts to obstetric clinics in five Slovak cities. • KPMG for their competitive educational iKid (Innovative Kid) programme focusing on the support of children’s business skills. • Microsoft Slovakia for their digital classroom project launched within the framework of the “Education for Future” initiative. • NESS KE for their NESS KDC project in the city of Košice, an initiative where the company’s employees created websites, web and mobile applications and other IT support for non-profit organisations operating in schools, culture, sports, government, volunteering and education. • Obnova (Renovation) with a portal providing expert information on the renovation and revitalisation of historical buildings. • Pivovary Topvar (The Topvar Brewery) for their “9 months, 0‰” project aimed at enhancing the awareness of alcohol consumption risks during pregnancy as well as the foetal alcohol syndrome diagnosis. • Siemens for their “Donating companies’ automobiles” project – providing help to disadvantaged groups of people. • TESCO STORES SR for their “Tesco Food Collection” project with the goal of supporting people in social need before Christmas and helping them overcome the difficult winter period by donating food and drugstore products. • UPC BROADBAND SLOVAKIA for their project of internet courses for seniors entitled “Click on it Granny; Click on it Granddad”. • VSE Holding for their “Home for 140 families in crisis” project which is aimed at supporting girls growing up in children’s homes and women in critical life situations. • ZSE (The West Slovak Energetics) with the “3D from ZSE – We provide a home for predators” project focused on the protection of birds against the negative effects of above-ground electrical power lines and rescuing endangered bird species in Slovakia. • AB-COM Topoľčany for their project entitled “Bring a joy to your friend” aimed at helping children from children’s homes. • Adbee digital for their “24 hours for the Great Country” project. • Hewlett-Packard Slovakia for their “Elderly” project focused on the local community of people living in the House of Social Services and in the Seniors Facility. • PS: Digital for their educational project “Let’s Facebook” devoted to non-profit organisations. • SAShE with the “Good Store” project, a gallery of handmade products for sale, with all its revenue being granted to support projects of non-governmental organisations. • Siemens and the Generali Insurance Company for their “tree of wishes” for children from crisis centres and families in need across the whole of Slovakia. • Skanska SK for their “Give A Hand 2015 – Skanska Volunteering Day” project. • TESCO STORES SR for their employee grant programme entitled “Colleagues for a good thing”.